John Hare’s God’s Command, 5.2, "Three Pictures of Freedom"
Having discussed the theme of particularity and universality in God’s commands in the previous section, Hare now sets his sights on Barth’s account of human freedom. Barth emphasizes the sovereignty of God throughout his work and, in the case of human freedom, Barth does not make an exception. For Barth, God elects man and this means God determines what he will be. But Barth simultaneously affirms the reality of human freedom. This has led many readers of Barth to take him as affirming a paradox (or even a contradiction) at this point. However, Hare does not understand Barth this way. Hare thinks that when we apply Barth’s own distinctions to his writing, we can see how the freedom of God and man harmonize in a logically consistent way. On some conceptions of freedom, the freedom of God and man are thought to antagonize one another. But Barth rejects this notion. The Barthian solution to this notorious issue is to make an ontological point. God is the creator of humanity. It is God who places within man all of his capacities and powers, and thus human freedom supervenes on God’s freedom. Man has genuine freedom so that grace is not irresistible, but that freedom is derivative. By electing us, God has determined what we will be in Christ, but “we have to acknowledge this, or determine ourselves in correspondence to this” (p. 158). In sketching out Barth’s view of freedom, Hare offers three different pictures. First, he asks us to imagine a mediocre piano player playing along with a master. They play a piece that requires two people. The master’s rhythm and artistry provides a context in which the lesser player can extend his skills beyond what he would be able to do on his own. The master does not force cooperation; her partner could stop at any moment. Still, the partner’s execution of the piece depends on the master. Her playing empowers his, but he must correspond to her artistry for there to be harmony. Hare thinks this picture helps illustrate two conceptions of freedom. There is mere freedom, which is the ability to choose between two alternatives. If we are offered the choice between the evil maxim and the good maxim, or the choice between self and duty, we will always choose the evil maxim, according to Kant. But true freedom is freedom to obey the good maxim. This feat can only be accomplished through divine grace, or when God empowers our abilities by inviting us to play along and correspond with him. The second picture comes from Kierkegaard. Kierkegaard’s concern is to say how it is that human beings can love as God loves. To answer, Kierkegaard offers a picture of a lake which is fed by a spring deep below the surface. Kierkegaard asks us to think of ourselves as the lake and the spring as God. In the same way the lake depends on the spring for its existence and status as “living water,” so we too depend on God. The dependence includes the moral dimension. If we are able to keep God’s commands, it is only because, beneath the surface, we are fed by God’s power and love, given to us as God condescends to us. Our will can cooperate with God’s because as the paradigm of love, God enters history and makes intimate, life-giving connections with human beings. The final picture comes by way of Barth’s view of prayer, specifically invocation. In invocation, we ask God to help us correspond to his divine command. However, this prayer can only be made with God’s help because of the bending inward of our will. If we are going to pray as we ought, we need God’s help. Hare finds echoes of Paul’s teaching of the Spirit’s intercessory role in prayer in this Barthian view. Thus, prayer is a dynamic and real interaction between God and man, where God is both the agent (the one who prays in the person of the Spirit) and the one who hears the prayer. But a real condition of this sort of prayer is the cooperation of man. In the final part of this section, Hare retells the story of the Canaanite woman. In this story, Hare sees Barth’s model of human and divine cooperation realized. The opportunity of the woman to interact with Jesus only occurs because of his deliberate act of seeking her out. When the woman requests that Jesus heal her daughter, Jesus does not immediately respond. And when he finally does, his answer is negative; he will not heal her daughter. In these tense moments, Hare sees Jesus as peering into the soul of the woman in order to help her see the truth about himself, herself, and their relationship to one another. Though it may not seem this way on the surface, each response from Jesus is intentional and for the woman’s good. Humility and repentance are required to experience healing and that is what Jesus wants the woman to see. Jesus does not simply want the woman to outwardly acknowledge him as Lord. Rather, he wants to transform and heal the woman and this can only be done if the woman cooperates with Jesus, if she conforms to his will for her. Jesus wants the woman to see that his blessing only comes by way of complete divine freedom and grace, but he also wants her to submit to what he is doing in her soul. Her cooperation with the will of Jesus can only occur when Jesus comes to her, sees the condition of her soul, and lovingly provides the opportunity for her to participate in what he is doing. In this chapter, Baggett and Walls talk about the problem of evil. This is not the problem of evil as often heard in philosophy of religion (Why is there evil if a good and all-powerful God exists?). Instead, they refer to Susan Neiman who traced the problem of evil in modern thought. The problem of evil is that the world is not as it should be. There is a gap between how the world is, and how the world ought to be. Questions arise, for example, what reason do we have to think that some event ought not to happen? The answer is clear in Christian theology of course, that evil is at odds with God and His purposes. It is a problem that God Himself is working to overcome with His plan of salvation and redemption that will ultimately be fully accomplished. Baggett and Walls review three influential modern thinkers. The first thinker is David Hume. Philo (a character in Hume's Dialogues Concerning Natural Religion who is said to represent Hume) thinks that the designer of our world is neither good nor bad. This is because if the designer was good, he would will the happiness of his creatures. However, it is apparent that our world is not designed to achieve this end. 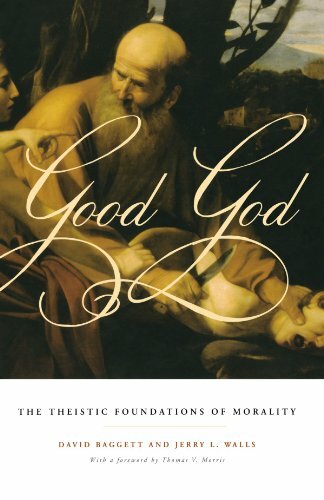 Hume's argument for God's moral indifference dissolves the problem of evil. It explains why the natural world is indifferent to human happiness. Baggett and Walls note here that it is odd that an amoral God would give human beings the ability to make moral judgments. The second thinker is Immanuel Kant. Kant thinks that the nature of the highest good includes both virtue and happiness. He thinks that happiness and virtue should be tightly connected. The problem then is that the natural order is not arranged such that happiness and virtue correspond. The world for him is no less hostile to morality than it is to human happiness. The third thinker is Friedrich Nietzsche. His problem was that Christian morality was hostile to happiness, restraining us from expressing our instincts. For him, the real problem of evil is that we thought it was a problem. Without God and objective morality in his view, he thinks that we have no reason to think that the world should be good in the Christian sense of supporting either our happiness or moral virtue. Sigmund Freud seems to agree with Nietzsche's view. Freud argued that religious belief is an illusion fostered by childish needs for security in a frightening world. Instead, he thinks that evil is part of life to be expected and coped with. There is no reason to think that the world ought to promote human happiness. Hence Nietzsche dissolves the problem of evil. Neiman thinks that the problem of evil gives us the choice to either give up making moral judgments, or to come to terms with the demoralizing reality that the gap between what is and what ought to be will never be closed. Neiman herself takes the latter option and argues that recognizing evil as a problem is essential to our humanity. Instead of denying the problem of evil, we should accept that there is a conflict that will never be resolved. Baggett and Walls agree with Neiman that evil is a problem to humanity, but they want to argue that there are options other than resigning oneself to accept a conflict that will never be resolved. On the Christian story, there is another option, namely, that the gap will one day be resolved. The main point being driven here is that God's nature as the best explanation of moral good, and the fact that He created us in his image, constitute an excellent explanation both of why we cannot avoid making moral judgments about the world and of why we cannot escape seeing evil as a problem. We will constantly see a gap between the way the world is and the way it ought to be, as long as we live in a fallen world that is "groaning for redemption." Naturalism, on the other hand, has no reason to believe that there is a problem of evil. Consider Richard Dawkins who thinks that the ultimate reality is morally indifferent (similar to Nietzsche and Hume). Evil and suffering is not surprising. There is no gap between the way the world is and the way it ought to be. Having discussed the problem of evil, Baggett and Walls turn to discuss freedom and responsibility, by examining an exchange between three naturalist philosophers. This exchange started after Daniel Dennett reviewed Bruce Waller's Against Moral Responsibility. Most philosophers are compatibilists, who think that determinism (the view that every event and state of affairs is completely determined by antecedent states of affairs and the laws that govern the physical world) is compatible with both human freedom (defined as doing what one wants to do) and at least some measure of moral responsibility. Waller however argues that while determinism and naturalism are compatible with freedom, they are not compatible with moral responsibility. Waller defines moral responsibility in a strong sense that holds praise/blame and reward/punishment as justified because moral agents deserve so. It is intrinsically good for offenders to suffer. This is known as the retributivist view of moral dessert that rejects consequences as relevant for punishment or blame. Contra Waller, Dennett thinks that moral responsibility should not be understood in these terms. He adopts a consequentialist account of just desserts and punishments. Punishment is needed to keep civilization from disintegrating; it is a practical necessity. Dennett uses the example of promise making and making contracts. The threat of punishments deters one from breaking one's promises or contract. This threat is essential for the glue of civilization to hold. Tom Clark, the organizer of the exchange, makes a few points. First, he says that Dennett should give up the language of "just desserts" which implies the retributivist view. Second, the traditional account of moral responsibility is strongly shaped by a long history of believing in libertarian freedom (a stronger view of freedom than determinism is generally thought to allow). Hence, many think that dropping the retributivist view of just desserts alters the concept of moral responsibility. Third, he thinks naturalists should focus on debunking libertarian freedom to undermine the appeal to such freedom to justify punishment. Fourth, compatibilists must change how they think of humankind. They have to be honest that in their view, no one has the unconditional ability to do otherwise. He accuses Dennett of suppressing his commitment to determinism in attempting to make moral sense of punishment, just desserts, and deterrence. Dennett responds by highlighting the practical necessity of punishment to protect society from criminals. We should use force to quarantine muggers, enroll them in rehabilitation programs, and warn society to avoid them. Dennett says that if Waller and Clark agree to this but say we should not blame the muggers, then they are simply engaging in a rhetorical dodge. Waller continues to press the point that the system of moral responsibility is unfair, even if he has no better alternative system to offer. To give further insight to the discussion, consider Dennett's discussion of Bernie Madoff. Madoff is infamous for costing people millions of dollars lost in his fraudulent financial schemes. Surely in such a case, punishment is necessary. Dennett writes, "If somebody's unavoidable mistake led to similar financial loss, we wouldn't do that, would we? It's because we deem Madoff guilty that we consider that we have the right to rescind his rights (under the moral responsibility game) and do all these things to him that he doesn't want us to do, and which we couldn't justifiably do if he weren't guilty. That's punishment. Not retributive punishment, but punishment and blame, all the same." From this example, it is easy to see why Waller and Clark criticized Dennett for helping himself to the traditional view of moral responsibility and retributivist punishment. Dennett says that it is not fair to blame someone for something over which they had no control. But in Madoff's case, Madoff was determined to defraud each of his clients by casual factors prior to him, over which he had no control. There is no alternative possibility. Next, Dennett emphasizes that we are justified in punishing Madoff, because Madoff is found guilty. This seems to be the retributivist position that Madoff did something to deserve punishment. Baggett and Walls think that this debate makes many points against naturalism. Both freedom and moral responsibility fit far more naturally in a theistic account of morality. The whole notion of promise keeping also better makes sense on libertarian terms than on compatibilist terms. Thomas Reid had observed that "when I plight my faith in any promise or contract, I must believe that I shall have power to perform what I promise. Without this persuasion, a promise would be a downright fraud." However, compatibilists believe that no one who fails to keep a promise had the ability to do otherwise (except in the counterfactual sense of being able to do otherwise if they’d wanted to). Whenever one makes a promise, it is possible that the natural order is arranged such that when the appointed time comes, one shall be determined to will not to keep one's promises. Hence this is at odds with making promises, since doing so assumes that we can both keep our promises or not, and it also assumes that we have control over our actions. 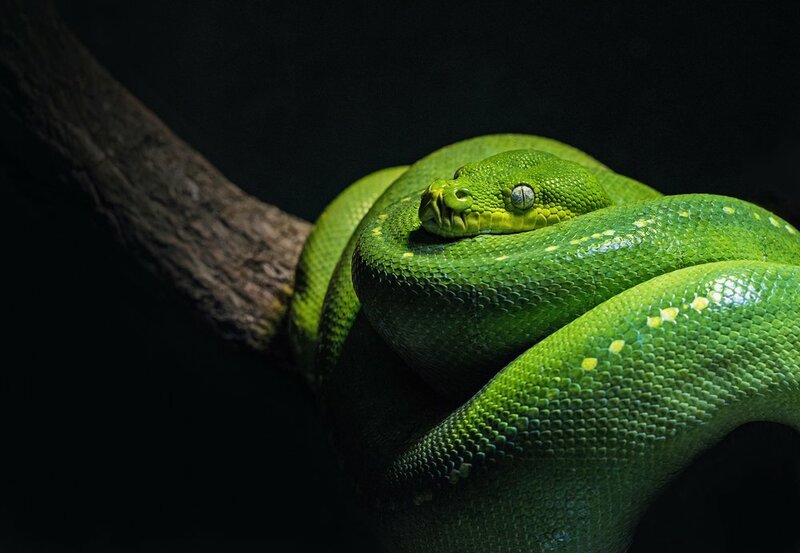 The reality of conscious control over our actions make better sense on libertarian freedom than the view that our actions are determined by a causal chain that preceded our very existence, and over which we had no control. On compatibilism, the agent has no alternate possibilities, and the agent is not the ultimate originator or source of his actions, since there is a causal chain external and prior to them, that is sufficient to determine those exact outcomes. A. Thornhill's The Chosen People: Chapter 1: "The Missing Link in Election"
No, this chapter is not discussing the problems with the political election cycle in the United States. 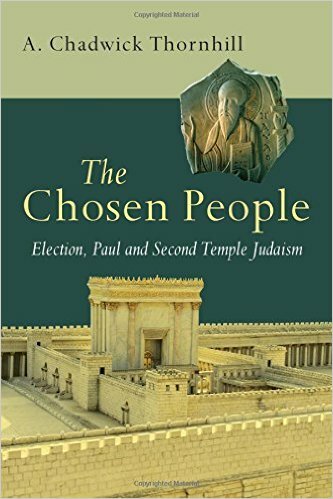 Instead, A. Chadwick Thornhill focuses upon the doctrine of election, and how the Jewish mindset most certainly affected its formulation in the New Testament. Specifically, Thornhill narrows his topic to the way in which the apostle Paul’s concept of election was formed. Thornhill begins by discussing the New Perspective on Paul (NPP), and how certain elements of this theory should be retained. His main contention is that most scholars who deal with the NPP never deal directly with the concept of election. It is his goal to remedy this situation. Thornhill begins by defining three theories of election: “national and unconditional,” “national and cooperative,” and “remnant-oriented and conditional.” The first theory develops election along the lines of a once-saved-always saved mentality. Specifically, it views the election of Israel as a holistic enterprise, whereby God chose this people for salvation. Anyone who is an Israelite is therefore saved by the nature of his covenantal relationship with Yahweh. Supporters of this theory (e.g., Sanders) often seek to adjust the common view that salvation in Israel was based upon works-righteousness. The second theory views Israel’s soteriological position as a tension between two poles: obedience and election. This is the least clearly defined category of the three. The third position argues that unconditional election of the nation Israel was never the point of the covenant. Instead, by studying Qumranic material and Pseudepigraphical works, it becomes clear that a conditional view of the covenant was the predominant Jewish view. Developing this third theory, then, is the major focus of the present book. The first major question addressed deals with how Second Temple Jews viewed their election. This is an important area of study because it leads to a second question: how might this understanding have affected the apostle Paul’s writings? He was, after all, a Jew of this time period. Thornhill believes that it is inappropriate to assume that Paul necessarily stood against the tide of all Jewish thought, just because he argued against some ideas. It is illogical to assume that due to a few instances of disagreement, Paul would have denied all of his Jewish background. Indeed, if this concept were taken to its logical conclusion then one would have to argue that Paul stood even against the Old Testament! At the same time, Thornhill is cautious not to overstate this point. He is clearly aware that Jewish thought at this time was rather amorphous. Nevertheless, there are certain widespread characteristics that he will seek to illustrate in subsequent chapters. With this in mind, our author establishes a criterion by which he will proceed: each work from Second Temple Judaism that he will analyze will be addressed on its own merits and only then will it be compared with Paul’s material. The hope is that this methodology will offer a necessary safeguard against reading a preconceived notion of Paul’s theology into surveyed material and vice versa. The goal is to develop a picture of the zeitgeist of the Second Temple Jewish world, in relation to the doctrine of election. This goal is to be reached by analyzing three sources: the Dead Sea scrolls, the Apocrypha, and the Pseudepigrapha. In each case, an attempt will be made to expose those ideas that seem to be held by a broad sector of the Jewish world. Philippa Foot identifies three issues in Nietzsche and says a bit about each. Let me start by saying that I think she deserves credit for recognizing the need to address Nietzsche, something too often neglected by folks content to ignore him. She wishes to try answering Nietzsche with the resources of her own naturalistic account of moral evaluation. Before getting to Nietzsche, she mentions Thrasymachus in the Republic as an example of an immoralist; Thrasymachus argues that justice serves the interests of the stronger. Socrates sort of ties Thrasymachus up in knots, but Glaucon and Adeimantus push the immoralist point, saying the life of the strong unjust man is better than the life of the just man, so long as one can escape the consequences of being perceived as an unjust person. Socrates tries meeting the challenge by arguing that happiness is harmony of soul, and an unjust man has disorder there instead. Foot doesn’t pursue that further, but asks how she would answer the challenge of immoralism on her own view. She begins with the idea of friendship, which she imagines that aliens coming down to watch humans could understand as something we choose to pursue because we need friendship despite the burdens it can sometimes impose. Aliens might, she suggests, see friendship much like the immoralist interlocutors of Socrates see justice: as the second best thing. What would be better, she imagines them thinking, would be not to need friendship at all—as some very rich people don’t, perhaps. But for most human beings, friendship is worth it because of the rewards. If one could get the rewards, though, by not being a friend but just projecting the impression of being a friend while avoiding the actual burdens, that would be preferable. The point of the analogy for Foot is that she wishes to suggest that the Martians would not understand the true nature of friendship. A Thrasymachean view of friendship is something she thinks we can instantly recognize as wrong. Likewise with a view of parenting that hesitates to put the good of the child before one’s own—as if a parent’s care of his child is just to hedge his bets and provide security for himself in the future. Not all instances of doing justice are motivated by love, though; we also pay debts, say, to profligate creditors. Here Foot is drawn to a virtue ethic that involves love of justice and a character that recognizes the claim of any human being to a kind of respect. At this point she skips ahead to Nietzsche. Here she identifies three theses in Nietzsche she thinks it’s good we separate out. First is his insistence that free will is an illusion. In many ways his convictions on this matter fueled his views about morality, because without meaningful free will (or a substantive self) morality can’t seem to get off the ground, and blaming people for wrongdoing seems particularly misguided. He was wholly skeptical of meaningful free will as he thought it needed to be predicated on something quite mysterious, perhaps something like Kant’s noumenal self of which Nietzsche was nothing but hostile. Foot isn’t overly worried about this challenge, as she thinks there are other alternative and better ways of understanding the distinction between the voluntary and involuntary than what Nietzsche seems to have assumed, and that a bloodthirsty desire for vengeance need not be at the root of moral evaluation. I agree with her on the latter, though I think that’s a caricature of retributive justice, and though I don’t think we need to posit a Kantian picture of the will, I am inclined to something like substantive agency theory. On a deterministic picture, which seems the likely scenario on Foot’s naturalism, not only would we have an inability to do otherwise, the sufficient conditions to ensure our every action would be in place before we were born. This is the insight of the source theorists with whom I tend to agree. Foot seems content with a compatibilist account of freedom, which I think is just flat inadequate for the purposes of morality. It violates the deontic principle of ‘ought implies can’ and makes anything like strong ascriptions of moral praiseworthiness and blameworthiness seem like utter mistakes. So I’m inclined to side with Nietzsche in thinking that without substantive libertarian free will morality is dead in the water, though I disagree with him on the question of whether we have it. I agree with Foot that we’re meaningfully free, but disagree with her that her analysis of what that looks like is the right picture. Next Foot turns to a second thread in Nietzsche’s thought: the attack on specifically Christian morality, especially ‘pity morality’ and the ‘herd morality’ that is secretly cruel and resentful, encouraging acts of ‘kindness’ that demean the recipient and bolster the self-esteem of the person performing the action. Here she goes into Nietzsche’s views about the way morality often functions to reduce and harm us, and how the true human good would privilege individuality, spontaneity, daring, and creativity. Foot takes on this charge that one has to see morality that stresses the humanness of sympathy as mistaken. Must compassion be driven by a sense of inferiority? Is charity most usually a sham? Surely it is sometimes, she thinks, but the idea that it always is strains her credulity and she doesn’t seem to think there are good reasons to take the charge seriously, though she acknowledges that depth psychology has plenty to offer us to disabuse us from thinking that our ostensible motivations are always our actual ones down deep. Perhaps at this point I should clarify in broad outline what her moral theory says. She wants to make moral goodness of a piece with goodness per se, and wants to tear down the distinctions between animals and humans. So her story generally goes like this: Various species feature behaviors that ‘fit’ their species. Rabbits jump and tigers run and such; these are natural normativities. It’s (nonmorally) good for such species to engage in these fitting behaviors. Humans feature analogous behaviors too, in light of the sort of species we are. When certain of these natural normativities (she likes to call them ‘Aristotelian categoricals’ following Michael Thompson or ‘Aristotelian necessities’ following Anscombe) are relevant to the happiness of human beings—which in neo-Aristotelian fashion she spells out in terms of human flourishing—they’re teleologically significant natural normativities that are aptly understood as morally objective facts about us. In this way moral goodness flows naturally out of natural goodness. Contra Nietzsche she thinks something like, say, compassion, particularly a character of compassion, is an example of something morally objective (and good) as a result of being an instance of a built-in natural normativity—a kind of behavior that fits with who we are as human beings and conduces to our flourishing. In one sense she thinks what Nietzsche is doing here is right. He’s attempting to ask if, say, pity is good for the one doing it and the one being pitied, and Nietzsche thought the answer was no. If indeed such pity was harmful, Foot would likely agree that putting a stop to pitying wouldn’t be a moral defect, and might be a morally good thing for us to do. She’s not convinced he was right in his analysis, though. For one thing, she thinks much of what he did was mixed together with overblown guesswork about hideous motives in people like resentment and hatred, which she thinks is in the main wrong. And though she confesses that perhaps nobody wants to be ‘pitied’, compassion seems something different and something that does play an important role in our species’ flourishing, so she’s not inclined to think his conclusions are right. I tend to agree with Foot on this, though I harbor serious doubts her view is adequate to lay out the reasons why something like compassion is morally good. Here’s a reason why. She claims not to be a utilitarian. In fact she says that natural normativities in tigers and rabbits aren’t based on the assumption that the flourishing of such species is a good thing—one reason being that cancer cells too have their own natural normativities that pretty clearly don’t entail anything like moral objectivity or intrinsic goodness in their survival. But if the entailment doesn’t work for animals or pestilential creatures or cancer cells, why think it works for human beings? I don’t think she’s got enough resources to make the case that our flourishing is intrinsically good morally, nor that human Aristotelian categoricals even when teleologically significant to our flourishing constitute facts about moral objectivity. 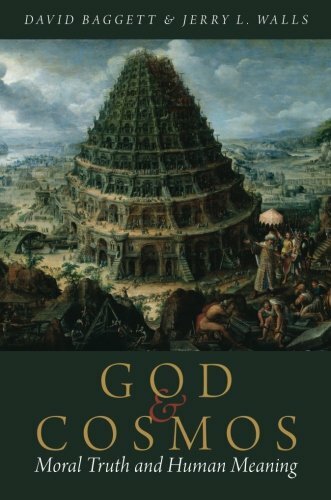 So though I agree with some of her conclusions in through here, I don’t think she’s provided good premises for them; I think classical theism much more plausibly might. The third strand of Nietzsche’s thought she considers is this one: his denial of intrinsic badness in any acts at all. She attributes this view most ultimately to what she calls his ‘psychological individualism’, according to which the true nature of an action depends on the nature of the individual who did it. This led to his admiration for certain nobles of earlier times who plundered or raped or murdered. It’s true he spoke disparagingly of certain types of folks, like the merely licentious. All in all Foot thinks what largely led Nietzsche to his conclusions here was his invention of a generalizing theory of depth psychology for which there’s little empirical evidence. So she’s left thinking there’s just little reason to agree with his rejection of the idea that injury and oppression go contrary to justice. Indeed she wishes to dub such things irremediably wicked. Again I tend to agree with her conclusion, but not the basis for it. I rather doubt she can generate the theory to undergird this sort of moral outrage with the resources of naturalism alone. Jerry Walls makes this case well in the second appendix of Good God.